This listing includes the original game CDs. An on-screen printable manual is also included. The box is pictured for reference only and is not included. I will also provide a compatibility CD that will allow the game and map editor to run under ALL VERSIONS of Windows 10, 8, 7, Vista and XP, both 32 and 64 bit. Note that multi-player mode is not supported by default. Local network multi-player is possible but I would require a little info about your computers. 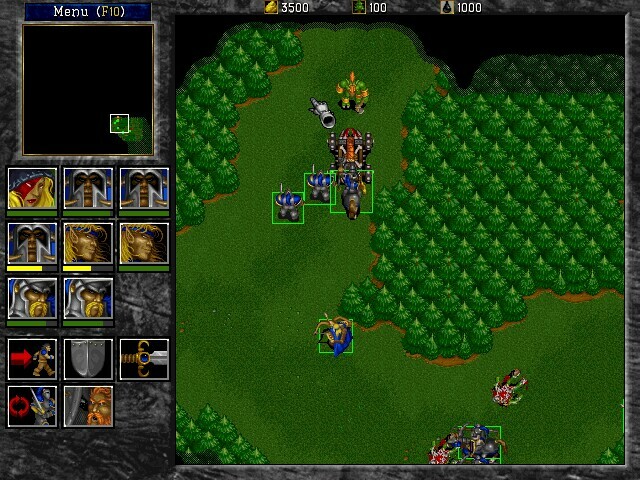 Warcraft II places you on the world of Argoth, a world of magic, mystery, and war. Years ago (in the first Warcraft game), the evil race of Orcs decided to invade the land of the humans and failed. Now, years later, the Orcs have returned for blood with new technology, magic, and allies. Realizing that the Orcs would surely return, the race of Humans also sought allies and found them. Now allied with powerful technology and magic from the Elves, Dwarfs, Gnomes, and others the humans and their allies stand ready to fight the ultimate battle of survival. To fail is not only to die, but to know that your race will be no more. In the game, you are given certain missions to accomplish, whether this be building a town, attacking a target, etc. If you succeed in your mission you win and gain points. If you fail, you lose rank, and must begin the mission over again. 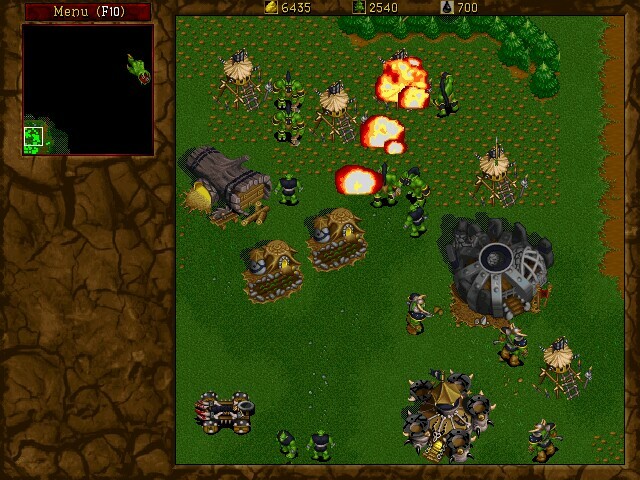 Warcraft 2 uses numerous buildings, ships, units, and more. Peasants, which you can train from the town hall, build these structures for you so that you may wage war. Some of the structures include: farms - cause everyone needs to eat, town halls - to train peasants, store gold, and wood, barracks - to train archers and footmen to guard your town, and ship yards - to build ships to wage war, transport your warriors, and carry oil. Of course, there are many, many more buildings in the game. In order to build all of these structures to help in the war effort, you must make use of natural resources. There are 3 natural resources in Warcraft II: gold, wood, and oil. Gold is needed to train footmen, knights, etc; build buildings, and make upgrades to existing units. Wood is needed to build new structures and Oil is required to build powerful warships, refineries, and more. 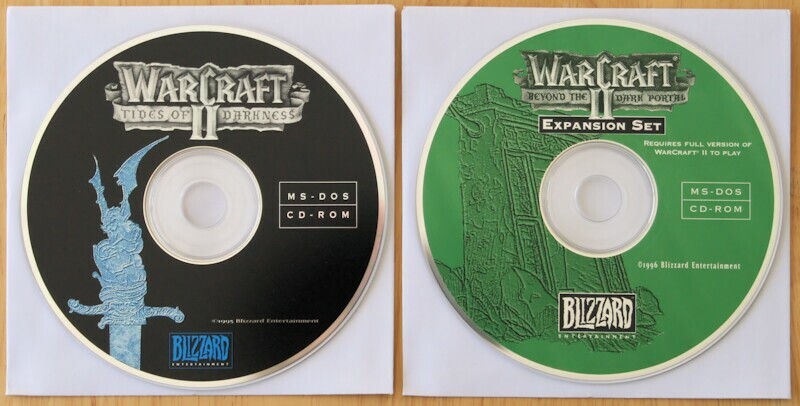 Weather also comes into play in Warcraft II as the seasons change from spring to summer, fall and winter. While this doesn't seem to have a direct effect on your units, only a fool wouldn't take account of the weather in battle, as your units can walk on the ice that forms during the winter months. Warcraft II demands that you be not only resourceful and cunning, but that you be able to manage your resources as well. Gold mines and oil wells don't last forever so you must budget what you build and take into account your use of such things. Overall, Warcraft II is a worthy successor to the original game. There's enough new stuff to make it a fresh challenge and fans will appreciate the many and varied improvements the second chapter offers. The SVGA graphics, naval & air units, fog of war and remote building are all extra ingredients for an improved game. To top it off the scenario editor allows extra fun once you've finished both campaigns and played the veteran custom scenarios.